100 days with the Galaxy S9: Samsung, you're better than this! Time flies, and the Samsung Galaxy S9 has been on the market for several months now. That’s reason enough to take stock and share our experience with you after our long-term test with the Galaxy S9. So here we go: 100 days with the Samsung flagship: what was good, what wasn’t? You know this already: in the beginning everything is still new and fresh, but with time you notice things that perhaps aren’t so great. Sure, the Galaxy S9 is a top smartphone, and we’re talking about an extremely high level here, but there are still some aspects that are better than others. Samsung and displays: that’s a classic success story, and the latest chapter is the Galaxy S9. Whether it’s the color representation, black levels, contrast, dynamics or the viewing angle stability, I don’t know of a smartphone that has a better screen when viewed at any angle. The fact that Samsung still provides a lot of options for adapting the display to your own tastes is the icing on the cake. The camera of the Galaxy S9 should also be record-breaking, at least in one regard: its speed. No other Android smartphone is faster at starting, focusing and triggering. The Galaxy S9 is almost unrivaled in this regard, especially for snapshots. You’ll never miss an important moment with this smartphone. And Samsung doesn’t forget about quality at high speed either, as the Galaxy S9 produces hardly any unusable photos. Most of the pictures are sharp and cleanly exposed. In our Smartphone World Championships, however, the Galaxy S9 was knocked out of the semi-finals because of one small flaw with its camera. Since you’ll be using a smartphone over a long period of time, the appearance also needs to be right. I’m not so interested in design, since that’s always a matter of taste. While I find the look of the Galaxy S9 a bit boring, I’m fascinated by the ergonomics and craftsmanship of the smartphone every day. The Galaxy S9 looks rock solid, is mounted perfectly and fits perfectly in your hand. Accessories sometimes make smartphones really cool, but not every Android smartphone can offer much in this department. If you stick to the market leader Samsung and its top model, you can be sure that almost every manufacturer has covers and mounts that are suitable for Samsung’s product range. But there are also great things that Samsung has manufactured itself for the Galaxy S9, especially the DeX Dock and the DeX Pad, which will turn the smartphone into a replacement for a laptop. Now that’s cool! Almost every smartphone now has a fingerprint sensor, and many manufacturers have developed better fingerprint sensors than Samsung. On the S9, I was impressed with the sensor’s position, speed and side. But if you want to be particularly secure, you can use the iris scanner, which only Samsung offers. It’s a bit slower, but is more secure than any other biometric solution. Just remember: if you’re using biometric technology for increased security, the emergency PIN shouldn’t be “1234”. In the wake of the battery disaster on the Galaxy Note 7, Samsung has always opted for a safer choice in battery. That means don’t use the full capacity battery, but instead pack in less and make sure nothing bad happens. That’s an admirable choice, but 3,000 mAh is a bit too weak for such a high resolution display and such a fast processor. On several occasions I had to dig out the charger in the afternoon. The Galaxy S9 simply doesn’t have enough stamina for my tastes, and other smartphones can offer more. A top smartphone doesn’t just have to be a top smartphone when it’s purchased. It also needs to be properly maintained by the manufacturer. In this respect, I have some doubts with Samsung. While the security patches come in quick punctually, mostly towards the end of the month, the Galaxy S9 is still running on Android 8.0, and there’s no update to 8.1 in sight. That wouldn’t be so concerning in and of itself, but the fact that the Galaxy S8 and Galaxy S7 were supplied with such bulky updates so late in the game, I don’t have much faith it will be any better with the S9. I’ve never particularly been a fan of Samsung’s UI, and things aren’t any different in 2018. There’s no manufacturer that’s further away from “pure” Android software, and hardly any other manufacturers offer as many of their own apps as Samsung. The truth is nobody needs the extra functions for the edges of the display, and you don’t need an app for every function that Google has already covered. In the end, that means Samsung’s interface also isn’t particularly fast and doesn’t help you save valuable resources. The fact that Samsung didn’t provide a dual camera to its small Galaxy S9, which is the more mass-market model because of its size alone, is a mistake in my eyes. The second camera in the Plus model may not increase image quality excessively, but it does bring more creative possibilities, and therefore is more fun when you’re taking pictures. It’s a common strategy of smartphone manufacturers to only make a major change to their predecessor models every two or three years. This is also comprehensible and understandable, but the Galaxy S9 has so few differences with the Galaxy S8 that there is no incentive to buy the current model if you have the old one. Even worse, if you’re looking for a new Galaxy S smartphone, it might be a better idea to go for the S8. It’s much cheaper and can do the same thing. Samsung should have put a little more innovation into the S9. I still enjoy the Galaxy S9 after three months, there’s no question about it. Technically, the device is on par with the luxury class of the smartphone world, but isn’t the cream of the crop. Samsung Galaxy S once stood for an extra dose of technology and was the best smartphone you could buy. That’s not quite the case anymore, since other manufacturers built just smartphones that are just as powerful. Samsung still offers the best display, which is good since this is one of the most important aspects of a smartphone. But nevertheless, I want to see more innovation in the Galaxy S10. Come on Samsung, show us that you’re still one step ahead of the competition! What do you think of the Samsung Galaxy S9? Does it still represent the highest standard of Android phones? 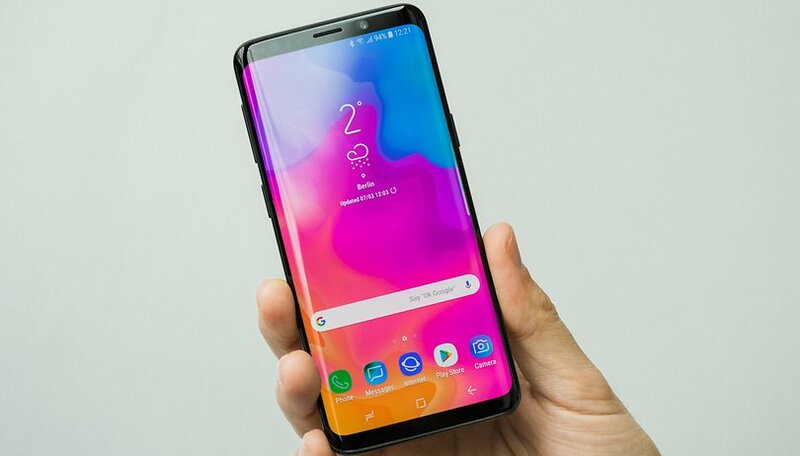 The reality is we knew there wouldn't be anything earthshaking with this phone, as they are holding off with the big goodies for thr S10. But does it have awesome Dolby stereo speakers? Yes! Does the S9+ have an awesome duak camera? Yes! Does it have an sd card slot? Yes! Is it water resistant? Yes! Is it fast? Yes. All iall, a great phone. I'd have to disagree with the author saying you don't "need" the features Samsung offers. I mean, sure, it's TECHNICALLY right but I don't like Google services. I don't buy a Samsung because I love Android. I buy a Samsung because I like the experience and features. The features seem thoughtful when compared to Google. Little details like closing all apps in the multitask screen is placed at the bottom of the screen. Or swiping to do a screenshot is easier for me than using the Vulcan death grip. Little things add up to a better user experience to me. I don't watch movies on my phone. I don't play games. I tend to stay within the phone. 75% of what I use the phone for is offline. Samsung hasn't been exciting for quite a while. Mainstream popularity, sure, but not exciting design or ideas. Mostly it seems to be of the type to trap you into their worthless ecosystem rather than empower your life and flexibility. Never Samsung (don't like its "bixosystem"), but after five OEMs I recently bought a Lenovo tablet and, glory be, it posts an "Android Upgrade Matrix" online that lists all the past version upgrades and the schedule of future upgrades for all models. Never seen that before. The tablet shipped with N-7.1.1 and is scheduled for 0-8.1 in November. The absolute best display on the planet. No other phone has as many premium features as the s9 series. I also like the fact Samsung doesn't play follow the leader with the ridiculous notch!